The Qioptiq Defence & Aerospace Division is focussed on maintaining a steady pace of development within the Dismounted Close Combat/Soldier Modernisation market sector in order to ensure that Qioptiq products remain state of the art and provide features and capabilities called for by the User community. Qioptiq has continued to focus on its Research & Development activity in order to ensure that novel approaches, concepts and technologies can be exploited and transitioned efficiently through Technology Readiness Levels in order to deliver deployable solutions in a timely manner. Over the last 12 months we have invested significant time, money and resource into Research & Development, enabling us to capitalise on valuable experiences and new materials to ensure we provide world-class, effective and cutting-edge products that help keep us always one step ahead of our competitors. At Qioptiq we are committed to frequently expanding our product portfolio, providing high value and capability to our customers while maintaining the service and continuous support through the product’s life-chain. In these austere times this takes more liaising with the end users to ensure our products are right the first time and every time. Whilst Qioptiq is a worldwide organisation we also understand that some nations wish to promote their own national industry capability and have a preference for encouraging local added production value for larger procurement contracts. Our approach is to embrace this culture and form industrial partnerships which, in turn, promotes strong local companies. This open approach has led to significant successes. We now have a number of active and potential collaborations around the world. Qioptiq is always on the lookout for opportunities to collaborate and partner with industrial players around the world in order to bring its world class capabilities to national programmes. To address the growing need for lightweight, low power, compact and affordable thermal imagers, Qioptiq has produced the DRAGON Range of Thermal Weapon Sights to satisfy target engagement and surveillance requirements of military customers and law enforcement agencies. The DRAGON Family development was led by the DRAGON Compact, launched at Soldier Technology 2010, and duly awarded best lightweight Soldier Technology Product at the event. This was followed shortly later by the DRAGON LR (Long Range) variant late in 2010. Soldier Technology 2011 (Olympia, London, June 2011) sees the DRAGON family expanded further with the launch of three new variants, bringing the total to five. Each one of the five variants is targeted at providing a natural successive capability to our existing VIPIR fleet, as well as with additional features but with reduced Size, Weight, Power, and additional future proofing features such as digital video and C4I hubs to allow integration into the wider section, platoon and company systems. 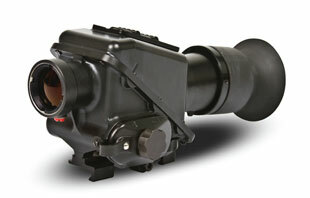 DRAGON sights deliver a capability to detect man and vehicle targets 24 hours a day, even in poor visibility. 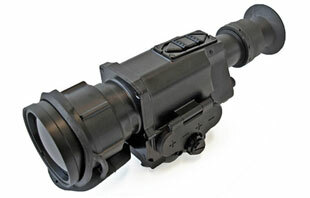 Unlike image intensified night observation devices, DRAGON sights can see in total darkness and through battlefield obscurants and can be adapted for use on a variety of small arms weapons mounting to either a Picatinny or NATO rail. DRAGON utilises the latest in uncooled thermal imaging technology to provide a superior performance to weight/size ratio. The number of controls used has been deliberately minimised to reduce size and weight whilst at the same time keeping the user interface simple without sacrificing functionality. The sight uses five controls: one five position mode switch, three momentary (membrane) switches and a rotary potentiometer to control display brightness. As with all Qioptiq developments a simplistic Man Machine Interface (MMI) features highly, the need for the user to Clip on, turn on and use is paramount. Users have to carry and operate more equipment than ever before, by taking the simplistic approach to equipment operation the user becomes more confident operating in low light levels and we significantly reduce the training burden. The DRAGON Family is based on an ITAR free 25 micron detector format, with the architectures capable of supporting options for 17 micron detector formats, therefore providing even greater performance enhancements for a reduced size, weight & power burden. short – medium range weapons mounting to either a Picatinny or NATO rail. 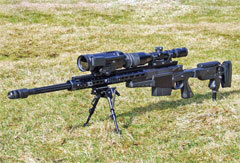 DRAGON-SR can be adapted for use on a variety of short range weapons mounting to either a Picatinny or NATO rail. DRAGON LR is perfect for section level support & heavy weapons looking to operate out past the 2km range. 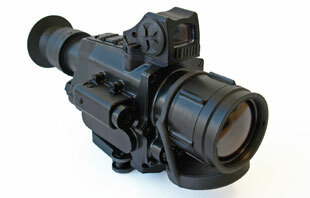 Red dot reflex sight and Laser pointer. The DRAGON-S the In -Line successor to highly acclaimed S-VIPIR2. Size Weight and Power reduction has been in the forefront of this new design. DRAGON-S is designed for use with a range of optical dayscopes and provides Users with a 24Hr surveillance and target engagement capability, it is factory set to eliminate the need for zeroing when the In –Line Thermal Sight is fitted and removed from in front of the dayscope. 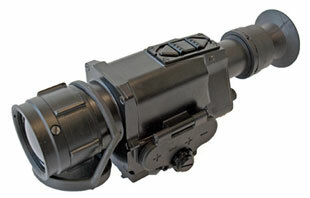 A light tight seal is provided between the DRAGON-S and the dayscope. DRAGON-S utilises the latest in un-cooled thermal imaging technology to provide a superior performance to weight/size ratio. The low power consumption of this technology allows Dragon Sniper to operate for more than 8 hours continuously on one set of Lithium AA batteries, greatly reducing through life costs. The Qioptiq fleet of VIPIR-2 thermal weapon sights were designed and developed with this in mind, it was understood that at conception the advancement of this technology would be rapid, and this is true of what we have experienced over the past 6 years. The pace of technology change means that obsolescence issues will become a thorn in the side, and decisions may be forced if not monitored and acted upon. Integrated logistic support will also benefit from weight and power consumption reductions due to the infill of more efficient components. The continual need to out perform the enemy’s sensors is paramount while also ensuring compatibility with future architecture and applications. Current spending trends indicate that technology insertion will become the principal approach in future acquisition. Multisensor Image fusion is the process of combining pertinent information from two or more images into a single image. The resulting image will be more informative than any of the single input images. Image intensified tubes and Thermal imagers can greatly enhance the soldier’s ability to monitor and operate in all surroundings and environments at night. In many situations, a single sensor is not sufficient to provide an accurate perception of the real world; this can be for a number of reasons. While the Image Intensifier still has its place on the battlefield due to its low cost, low power consumption and its excellent identification properties on a clear night. There are occasions when performance may falter, for instance individuals can become dazzled and disoriented when systems fail to react fast enough to exposure to bright lights, atmospherics or other obscurants this can cause performance issues that render the sight virtually inoperable. The thermal imager has the ability to detect a man far outside those effective ranges of an assault rifle and have proved invaluable in recent conflict. 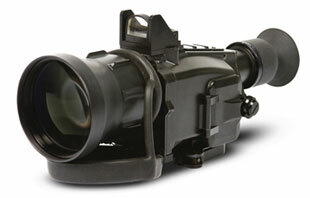 Its ability to see through battlefield obscurants and operate in total darkness as well as the often overlooked day time capability has made the uncooled thermal weapon sight a piece of equipment that has become common place in the 24 hour modern infantry section. Due to developments in a number of “feeder technologies”, including sensors, materials and electronic processing, the sensor fusion debate is now steaming ahead and Qioptiq are engaged in a number of projects and developments aimed at bringing Fused Sighting Solutions to the Dismounted Close Combat User. Qioptiq have delivered prototypes and pre production units for testing & trials. The initial reports from Users are very encouraging, the ability to detect and recognize in all weathers and environments gives a true night vision capability with the added ability to operate thermal channel during the day. 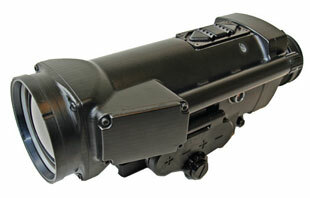 Qioptiq has engaged with various military research establishments to seek out the requirements of the Infantry and understand the best sensor fusion technologies at the right Size Weight and Power forms that will enhance the operational performance and avoid capability overmatch at a cost acceptable to the customer. Over the next 12 months Qioptiq will be integrating with Users to understand the tradeoffs, MMI and training burden to ensure that the right balance is struck. As with all technology based capability developments, the aim is now to refine the system capability as simplistically as possible, whilst avoiding complexity and technofest………. We will continue to develop new products, and ensure our current customers can take benefit from Technology Insertion into existing equipment in order to extend service life.